Add a little more (or less) milk depending on how thick you like your mashed potatoes. 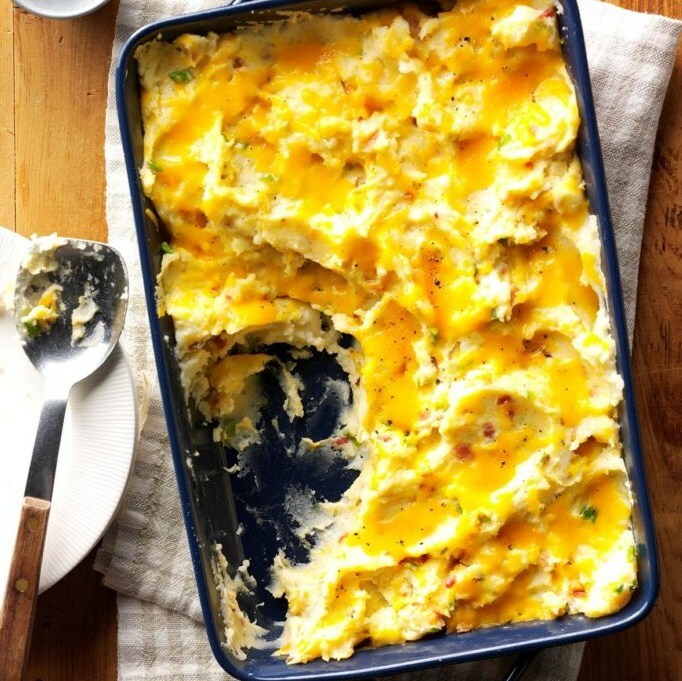 Make these mashed potatoes the day before! These other dishes can be prepped ahead, too! 1 cup: 307 calories, 16g fat (9g saturated fat), 39mg cholesterol, 281mg sodium, 30g carbohydrate (2g sugars, 3g fiber), 11g protein.